No unsightly structural work needed - fits direct to your stair treads rather than the wall. The arms, seat and footrest all neatly fold away. With its ultra slimline design there's plenty of room for other users of your staircase. 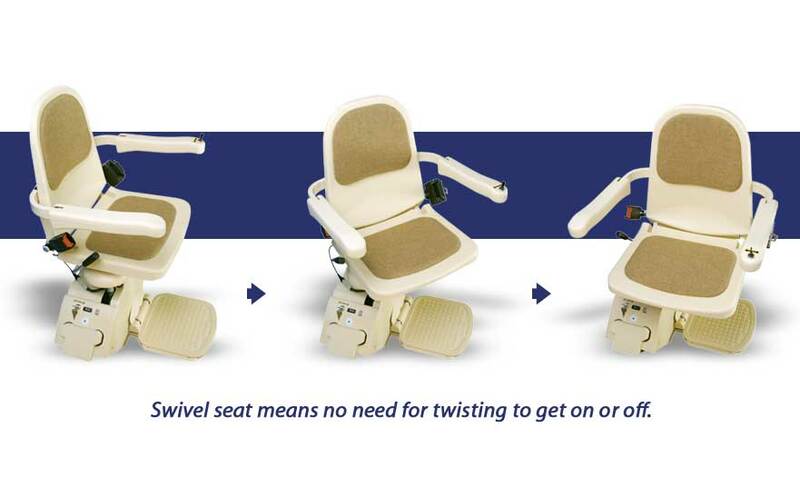 The lift can be 'called' or 'sent' up or down the stairs when ever it's needed, making it easy for multiple users to control the stairlift. 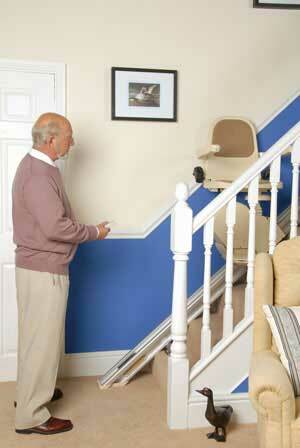 If anything is blocking the progress of the Stairlift, it will come to an immediate halt. 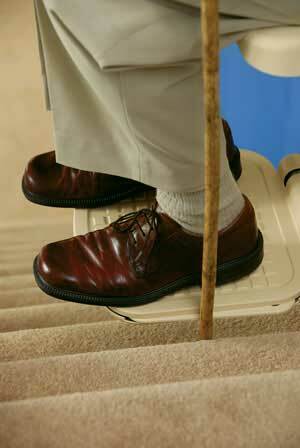 There are 5 sensors: 3 on the footrest, and 2 on the carriage. 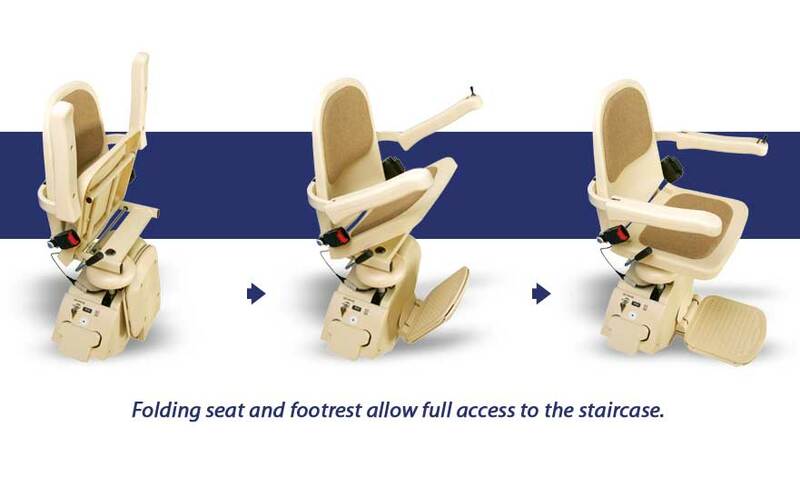 The seat turns and locks in either a 45° or 90° position, helping you get in and out of your stairlift, easily and safely. 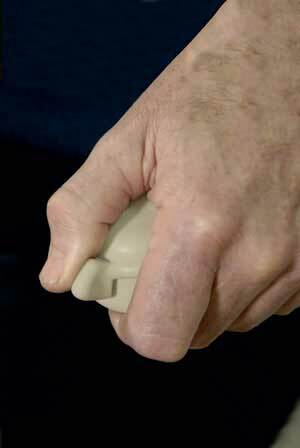 Using the lift is as easy as pushing the armrest paddle in the direction of travel.